Garlock® is pleased to announce the offering of the GUARDIAN™ bearing isolator in additional sizes of 12 to 24 inches for your larger applications. We call it the GUARDIAN™ XL. We offer 7 day lead times in order to assist you with your needs. 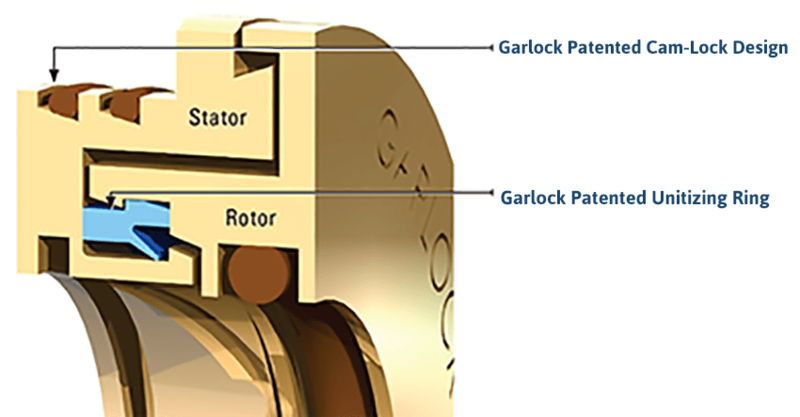 Patented Unitizing Ring by Garlock® eliminates metal to metal contact between stator and rotor. The patented unitizing element prevents the rotor and stator to contact. The unitizing element also prevents the components from separating during operations which could cause premature failure. The unitizing element is integrated into all KLOZURE® metal isolator designs.